A manicure that lasts 2 weeks. Perfect for the person that is very busy. A wonderful natural rock soak for the Hands & Nails followed by a hand massage & weekly polish. A relaxing manicure including a special blend of essential oils followed by a relaxing hand massage & polish. Great for working hands or just a special treat. Cleansing of the cuticles, a relaxing rock soak, hand massage & choice of a matte polish. Need a quick fix & refresh? Reshape of the nails followed by a hand massage & polish. Our Pedicures are ALL NATURAL. We use a healing copper tub & natural stones to soak. Looking for a little more relaxation & rejuvenation? The Lotus pedicure is it. Soak in a custom blend of essential oils followed by a leg & foot scrub & massage finishing with hot towels. A lovely pedicure thoroughly cleansing the feet, removing dead skin cells followed by a wonderful massage & polish. Soak your feet in a special herbal detoxifying blend for your feet. This treatment amazingly helps to remove toxins. Restore minerals & replenish antioxidants. ALL while reviving your mind body & spirit! * Reflects starting at pricing. Let us know it’s your first visit & you’ll receive 15% off any Hair, Nail or Waxing Service. 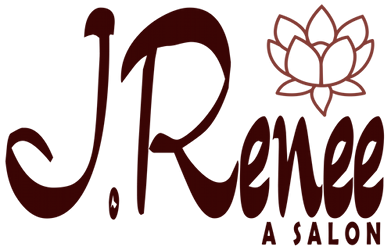 Copyright © 2019 J Renee A Salon | Branford CT. Powered by Webbersaur.us.